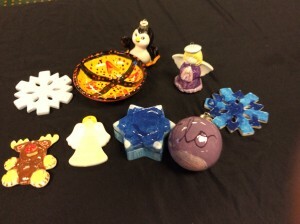 Ten residents of Brandywine Senior Living in Princeton enjoyed an afternoon of ceramic painting at A Stroke of Creativity to express and bring out their inner artist. 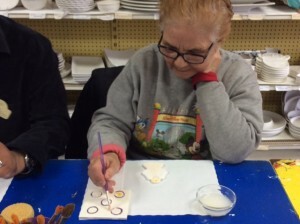 They spent time with owners, Patty and Bob Lang, who shed some light on the benefits and uses of art and painting and how art helps people cope with life’s challenges. Residents were able to pick a sculpture from a large selection to paint at A Stroke of Creativity on Englishtown Road in Monroe, NJ. Patty Lang was a special education teacher in Watchung. One day in 2008 she suffered a stroke while driving home. On that very same day, her husband Bob Lang lost his job at Avis. As Bob Lang was without work, he was able to take care of their three children while his wife recovered.